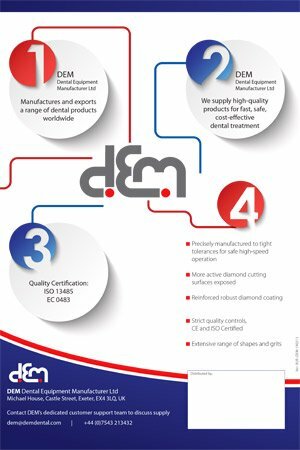 DEM is a specialist manufacturer, and offers a range of high-quality diamond FG and carbide FG, RA and HP dental burs. 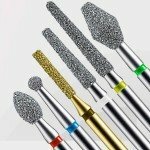 The diamond burs are suitable for all types of friction grip handpieces commonly used in dental clinics worldwide.The carbide FG, RA and HP burs are suitable for dental, operative and surgical applications. DEM Dental Burs comply with strict quality control. They are manufactured to precise tolerance specifications in order to ensure a safe fit and true rotation when operating at optimum speeds. 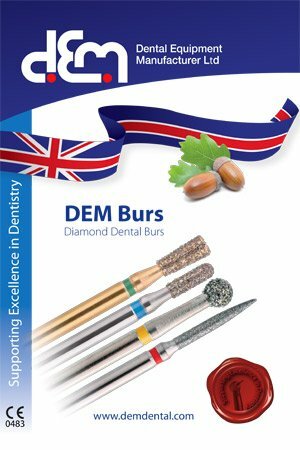 We offer a comprehensive range of DEM Diamond Dental Burs in many different shapes and head diameters. The range includes three shank lengths: regular (ISO 314), short (ISO 313) and long for periodent (ISO 315). In addition, the range includes diamond FG burs for all applications, and also the most commonly requested carbide FG, RA and HP burs. If required, we will supply a special selection based on the most popular items, to meet the majority of day-to-day requirements. We have selected these items on the basis of our wide experience. If you prefer, we will tweak the range for your particular market. The basic selection of around 80 burs is the foundation of an available-from-stock range, for immediate delivery. 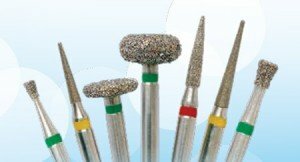 Distributors can start easily, and avoid overwhelm and confusion resulting from the extensive number of burs available in our full range. The basic selection of burs also reduces the initial outlay required by distributors. In addition to our DemPex™ Apex Locator, used for root canal treatments, we offer a selection of Endo Burs for endodontic procedures. Our cost-effective and convenient to use dental burs are designed for long life, using super-sharp diamonds in a robust bond for fast operation. Bur display wallets. We offer handy sample bur wallets containing 80 burs. The wallets enable our distributors’ sales teams to draw attention to the quality of our burs. Graphics support. We supply graphics to our distributors to support their marketing material, including catalogues, flyers, websites, roll-ups and other displays.